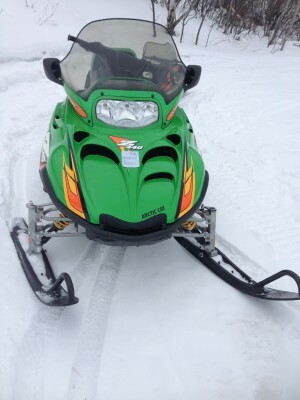 Selling my 2005 Arctic Cat Z 440 LX because I no longer have time to ride. Purchased new in 2005, only owner. Always garaged, never left outdoors. There are only 1630 miles on it, mostly casual trail riding. Hand/thumb warmers, electric start, reverse, hitch added, battery charger/minder on board, brand new Arctic Cat cover purchased last year as well. Everything works perfectly, starts every time! Call for more info.